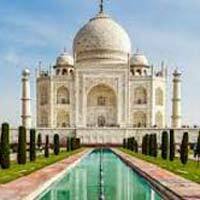 Pick up from your suggested place in New Delhi and proceed to Agra. 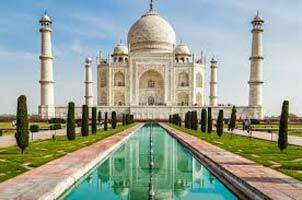 Agra is about 200 kilometers (124 miles) from Delhi. In Agra, you will visit the world famous Taj Mahal built by the Moghul Emperor Shahjehan in 1630. Legend says the tomb was built for his Queen Mumtaz Mahal, who died giving birth to their fourteenth child. The death of Mumtaz left the emperor so heartbroken that his hair is said to have turned grey overnight. Construction of the Taj Mahal began in the same year and was not completed until 1653. After lunch at a restaurant of your choice in Agra town (lunch at own expense), you will visit the Agra Fort, the Halls of Public and Private Audience and the Tomb of Itmad - ud - Daullah built by Empress Noorjehan in memory of her father and visiting Fatehpur Sikri-a perfectly preserved red sandstone “ghost town” which was the estranged capital of mughal emperor Akbar, built in 1569 and deserted when its water supply failed. Arrive Agra & transfer to hotel. Evening at leisure. Over Night Stay In Agra. After breakfast drive to Delhi (Aprox. 4 hrs.). On arrival transfer to your suggested place and Tour Ends.